Motorcyclists know that there are inherent risks with driving or riding a bike that offers little protection. That doesn’t mean, however, that car drivers are free to act without regard for the safety of motorcyclists. Car and truck drivers routinely neglect their responsibility to watch out for bikers on Georgia roads, causing serious, even fatal, motorcycle accidents. If you or a family member has been injured or killed in a motorcycle wreck caused by negligence, please contact us or call the accident attorneys at Butler Wooten & Peak LLP today with 2 offices conveniently located in Atlanta and Columbus, GA.
It’s no secret that the speed and small size of motorcycles are often a deadly combination. Hundreds of motorcyclists die each year in collisions with cars and trucks. Motorcyclists must be cautious and avoid sudden movements or lane changes, but drivers need to be more aware of motorcyclists. Recent Article: What Are the Most Important Motorcycle Laws to Know? The tragedy of a motorcycle accident is often devastating for both the victim and his or her family. Motorcycle injuries are often life-threatening or permanent. A personal injury or wrongful death lawsuit following a motorcycle accident won’t undo the harm caused, but it may provide greater financial security and stability to pay for long-term care. How Many Motorcycle Fatalities Occur Each Year in Georgia? Georgia has been seeing a slight increase in motorcycle collisions in the last 2 years of data from 2014 and 2015. However, there has been a 9.8% decrease in deaths compared to the statistics from 2010, which reported a total of 153 fatalities. Here are the statistics of deaths from motorcycle collisions in GA in the last 5 years. If you are facing a lawsuit for damages after a motorcycle accident, there are many things to consider when putting together a claim. Several factors determine the total compensation the courts might award you. To better understand these determinants, here are some facts on liability, the types of valuation, and calculating damages. There are two categories of valuation when working on filing a motor bike injury claim: settlement or trial. Settlement valuation specifies what you believe the defendant should give you in an agreement settled outside of court. Trial valuation, on the other hand, indicates what you believe you would win if the claim goes to court and you win. Because the legal system intents settlements to be an enticement for one party or the other to agree to a payout outside of the courtroom, the value tends to be a fraction of the trial valuation. The reason for this stems from certainty: a settlement is money in your wallet, whereas a trial could lead to no settlement at all. From the beginning, the plaintiff must determine two factors about the accidents: who the responsible party is and what were the resulting damages. If the courts or the police cannot readily assign culpability or blame, then a claim faces little chance of success. As the plaintiff, the burden of proof lies with you. In the event liability is not easily apparent, you and your attorney will have to prove who the guilty party is in court. Once you accomplish this, you must assess the total damages, which include both medical and property damages, as well as lost wages and much more. If your injuries are more severe, you can expect an increase the amount of compensation you receive. The law divides damages in a personal injury case into two categories: quantifiable and qualitative. The first covers any damages calculable to an exact dollar amount, such as current and future wages lost, employment benefits, cost of repairing or replacing your motorcycle or gear, medical expenses, or other quantifiable losses. The latter defines those attributes that plaintiffs cannot specify in a precise sum. These are the unseen damages, like ongoing pain or suffering, mental or emotional distress, impairment from an injury or disability, scarring or other obvious damage to your body, or simply an overall reduction in your quality of life. When it comes to determining wages lost in the present, you should have no difficulty providing this information. Contact your employer for a record of missed workdays and proof of your pay rate. However, calculating potential future lost wages as a result of injuries or other damages will be more difficult. Some plaintiffs may request an economics expert to analyze these values as this kind of work calls for a nuanced understanding of economics involving your particular occupation. Motorcycle accidents can ruin lives. Changed lives now confront survivors, often involving extended medical care and therapy. Understand what your rights are as a victim in this circumstance and stay informed on what outcomes you are likely to experience when taking the guilty party to court. Atlanta Motorcycle Accident Attorneys – Free consultations! After a serious or fatal motor bike accident, contact the Atlanta Motorcycle Accident lawyers at Butler Wooten & Peak LLP. We will handle all aspects of your accident lawsuit. 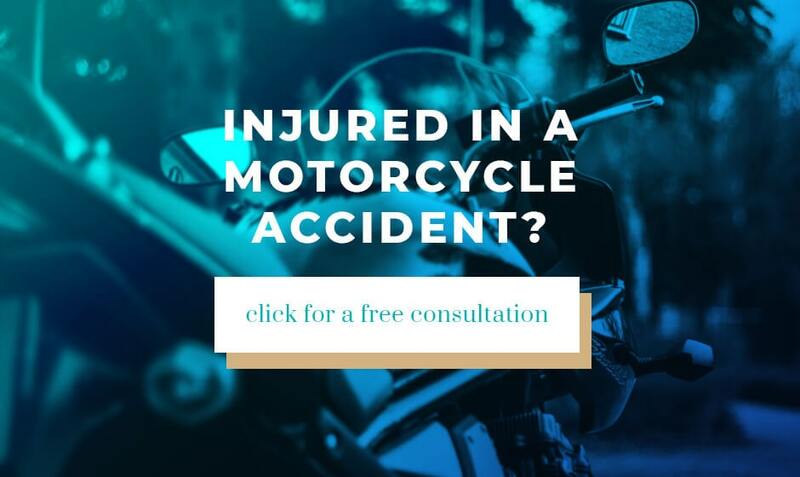 Our motorcycle crash lawyers have more than 20 years of experience and will use their knowledge to help you secure the compensation you deserve. Our results in catastrophic cases speak for themselves. Contact our Atlanta Personal Injury Attorney team at Butler Wooten & Peak LLP today at (404) 321-1700 or toll-free at (800) 213-5343 for a free case evaluation.